"ROUGHER, TOUGHER, MORE ROMANTIC THAT EVER!" A Kentucky rifleman named John Breen finds love in a chance meeting with Fleurette De Marchand, French settler and fiancee to an influential landowner. Fleurette resists John's attention because her arranged marriage to Blake Randolph will help her people; John won't take no for an answer. John leaves his battalion to stay near Fleurette and begins to look into the boundary lines around the settlers' land. He suspects that Randolph's influence over the town may not be honestly come-by. Fleurette's father wants John to step back and let her marry Randolph, but it is not an easy request to honor. 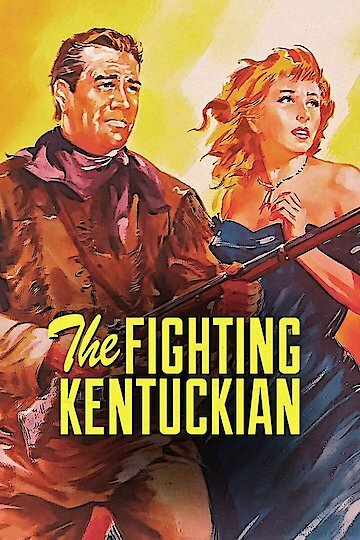 The Fighting Kentuckian is currently available to watch and stream, download, buy on demand at Amazon Prime, Starz, Amazon, Vudu, iTunes, YouTube VOD online.